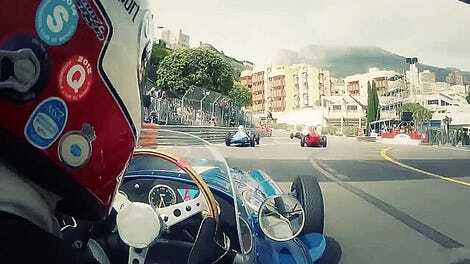 Vintage racing is a show, as much as collecting expensive, old cars for display is. The cars aren’t bought to sit around, no matter how misleading the shiny body panels and pristine conditions are. They’re bought to take a beating on the race track, and still need the kind of upkeep they did before becoming collectibles. But if vintage racers wreck a car, their collectible could be done for. “We’ve got a pretty good crew, but we are not fully equipped to rebuild this car as it was back in the Rolex days,” BMW M3 driver Jerry Kaufman, whose former Grand Am car is only five years old, told our own Stef Schrader at the Sportscar Vintage Racing Association weekend at Circuit of The Americas in November. That’s the risk vintage drivers (who have enough cash to buy and run these cars in the first place, we should note) have to accept when they take cars out on the track. Racing an icon from the 1960s might feel as pure as pure can be, but that car could also come home in a wad—perhaps never to be the same again. SVRA, which has 13 vintage races on its 2018 calendar, advises those with a pile or two of extra cash to make their decisions carefully when choosing a car to take vintage racing. Some cars are more expensive to buy, others are harder to maintain. Some could have modifications that bar them from vintage racing at all, since most series prefer to have period-correct cars in their fields. The safety components are really the only parts allowed to get a modern upgrade. The M3 doesn’t look much like a vintage race car and Kaufman said racing it is kind of like “bringing a knife to a gun fight,” but SVRA rules are that a car just has to be “obsolete” in modern racing in order for it to be vintage. The M3 is, so it qualifies to race. Because the model years of SVRA’s cars range across more than a century, they get sorted into different classes to race in. Classes range from pre-World War II cars to historic stock cars, to FIA World Championship cars that are no longer used. It all depends on what drivers bring to the race track. All SVRA asks of drivers is that they make sure they prepare a car “so it doesn’t break,” make sure to check out the engine and drivetrain before racing it, get the suspension and brakes set up by a professional shop, meet the series’ safety requirements and make the car look good. By good, SVRA doesn’t mean new. It means good, while also period correct. The notion of cars and parts having to be period correct—as in, not swapping the engines in older cars with newer, shinier, less hiccupy technology—brings the almost immediate question of how drivers and owners keep cars running at race capacity. That’s especially true for the ex-professional machines. The cars may be old, but in their day, it took full teams to nurture and maintain them. 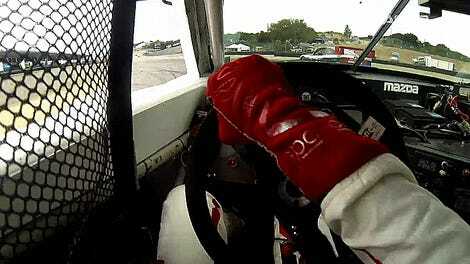 Turns out, there’s a pretty easy answer to how vintage racers do that. 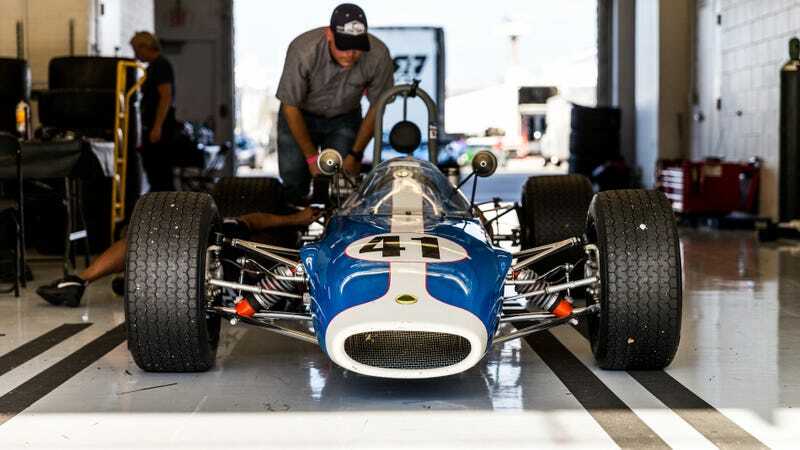 The Lotus 17 is much older than Kaufman’s M3, as it came around in 1959. It was a race car made in response to the Lola Mark I in British sports-car racing, according to Classic Driver. The Lotus, like the other cars, has to be period correct in order to race in SVRA. While stuff is still manufactured today, it has to be done with 1950s technology—even the tires. Johnson said his Lotus 17 is one of only five or six still around, as far as he knows. It weighs under 975 pounds fully loaded, he said. But the car doesn’t become useless if all six of those engines give out eventually. Fortunately, Johnson said, the parts are still available for the motor the Lotus runs. There are people who make special parts for vintage cars as well, he said. When an engine’s feeling particularly weak, Johnson said his team will send it off to a builder for a “refresh” before putting it back with the spares. He said he carries an extra engine with him, which was something he needed that day. A 1972 BMW 3.0 CSL next to Kaufman’s M3. Kaufman said his M3 is “a pretty simple car to work on, believe it or not.” After racing some in the IMSA Continental Tire Sports Car Challenge and Pirelli World Challenge sports-car series, Kaufman saw the M3 for a good deal and bought it. He has team members with experience in sports-car racing, NASCAR and the like who travel around and help keep it running, and the Mooresville, North Carolina team that works on his cars is close to where all of the parts are made. NASCAR cars go vintage racing, too. Kaufman said the body is made in Indianapolis and the tube-frame chassis in Mooresville, and that most parts don’t even need to be shipped. “The uprights are the same uprights that NASCAR uses, so you can get those,” said Kaufman, who added that a lot of European parts are made in the area too. “Brake calipers are off the shelf, the rotors are off the shelf, the gearbox. We’re based in Mooresville, North Carolina, all of this stuff is serviced in Moorseville. “We definitely [have to] look at data and see where we can push it, where we can’t,” said Kaufman, who runs the car in race conditions—no traction control or any of the stuff that’s meant to keep a driver in line—and said its wing is undersized for what’s optimal for the car. “You can spin this thing coming out of pit lane it’s so stiff. There’s a lot of pressure, and [racing hard] is of those things you certainly want to build up to. 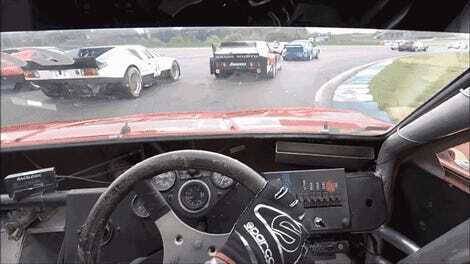 An example of what vintage racers don’t want to happen. Johnson’s concerns on his Lotus 17 are more about the life of the engine, and his decision on whether to race every event in a given weekend has to do with the time on the motor. But for Johnson, who travels all over the country and in Canada to race, there isn’t much pressure to avoid wrecks or engine malfunctions. “The pressure is to have fun,” Johnson said.